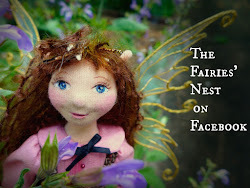 The Fairies Nest - OOAK Cloth Dolls & Fiber Fantasies: Why is a Raven like a Writing Desk? 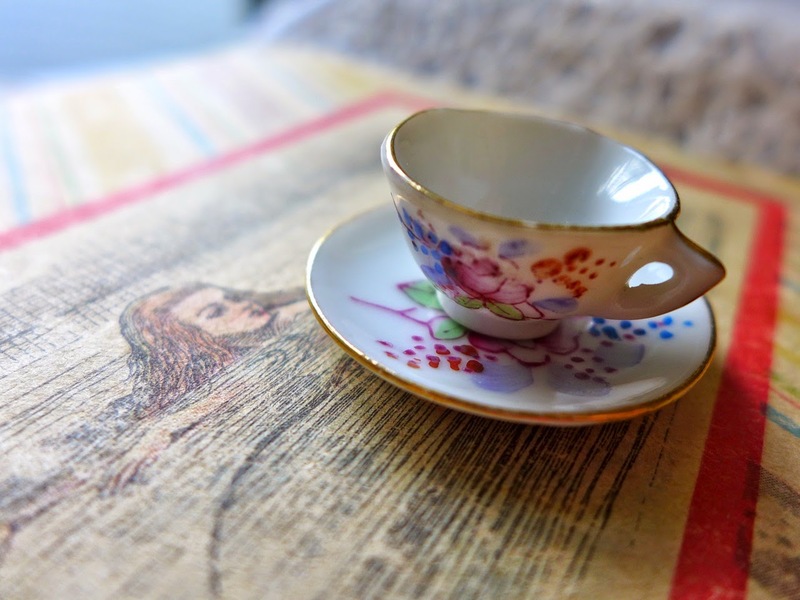 It's been Wonderland in the studio lately as I've been working on some characters from my favorite children's book. 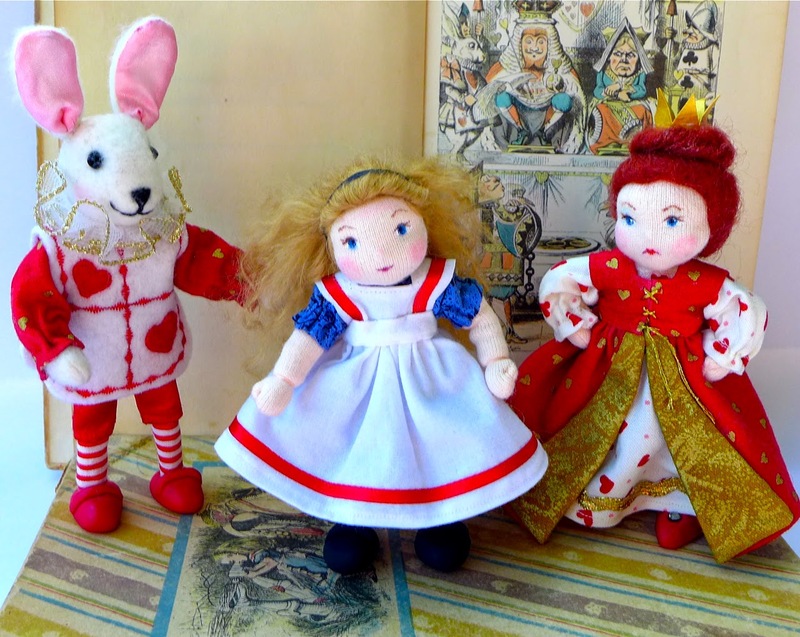 The Queen and White rabbit were new designs for me and I love how they turned out so much that it is going to be very hard to see them go....but as they are commissions, go they must! I did get a group shot though... they look so good together. 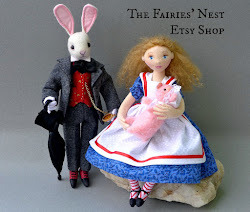 Alice, however is in the shop and up for grabs, but don't wait! 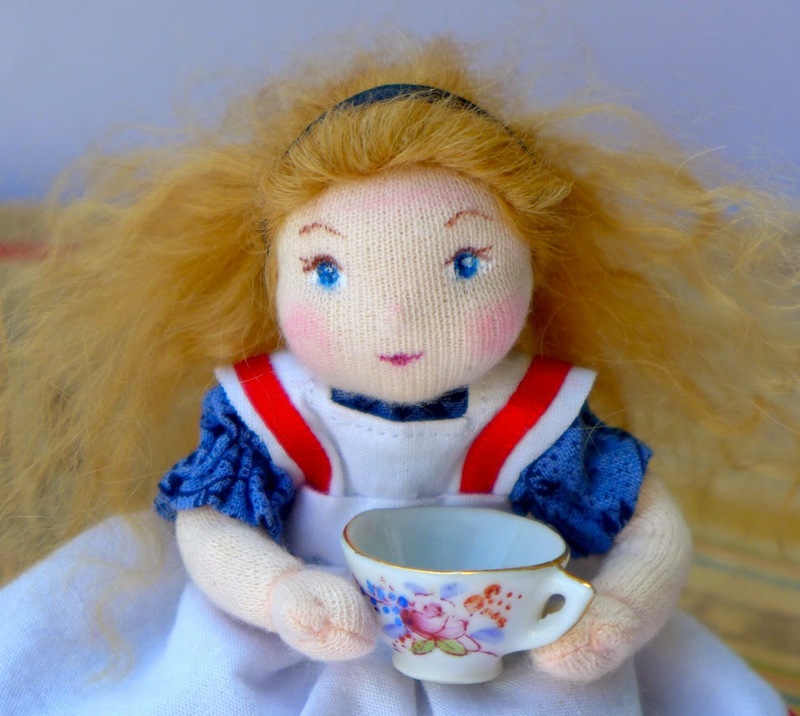 The Alice dolls always seem to go very quickly! 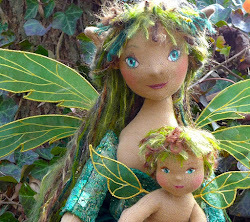 Click on her photo below to go to her page. 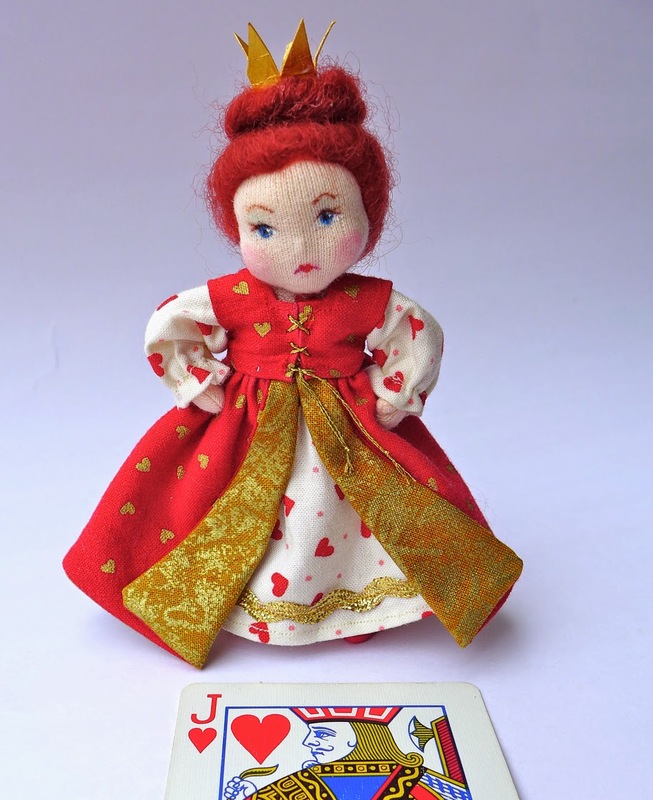 So adorable, I especially love the queen. I definitely would not want to let them go if I were you, and I know for sure that my daughters wouldn't let it happen! Perfect and love the expressions! I love her! she is amazing!